Field of Dreams and Other Dog-Worldly Events. There are three days left of this year’s Florida Classic Clusters in Brooksville. THE NEW BARKER is once again honored to have been part of this two-week, all breed dog show. Today we hung out with the Junior Handlers. What a dedicated, energetic and genuinely nice group of kids. And their dogs seemed just as happy to be prancing around the ring with them. The show runs through Sunday from 8a to 5p. Get there early and catch the excitement. 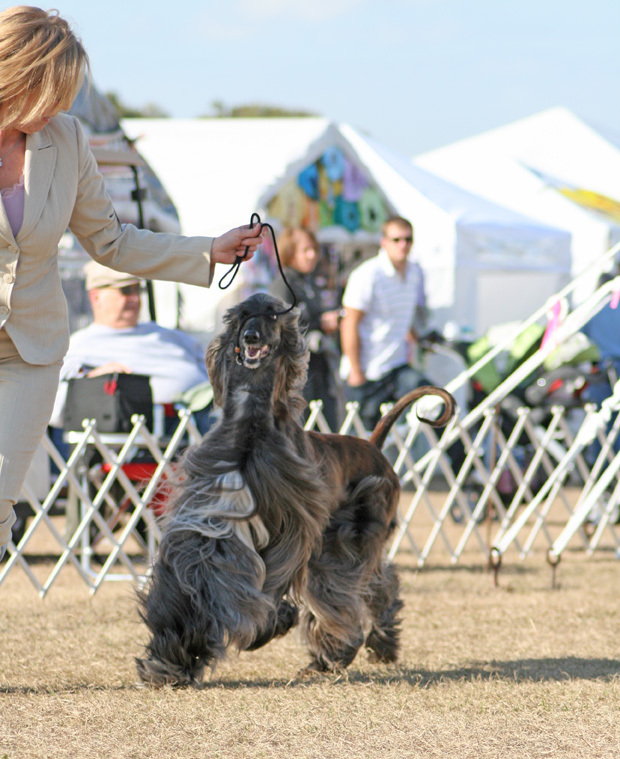 Free behind-the-scene show tours; get up close and personal with professional groomers in the grooming tents. Florida Classic Park is located at 5360 Lockhart Road, east of Brooksville. A Rather Special Wine Tasting. THE NEW BARKER and ISJ Productions are hosting a wine tasting on Friday, January 21 to benefit St. Petersburg’s Pet Pal Animal Shelter. The event will be at American Spirits, 230 3rd Street South in St. Petersburg from 7p until 9p. American Spirits will be pouring samples from between 15 to 20 of 2011’s best wine buys. Hors d’ oeuvres will also be served. Call 727.328.7738 for more information. Also on Friday, January 21, SONO Cafe is hosting their monthly Yappy Hour. The Cafe serves up some of the most delicious food in the Bay Area. Great setting, overlooking the Curtis Hixon Dog Park at 120 West Gasparilla Plaza in Tampa. Yappy Hour will be from 6p-8p. Rally to Rescue. Let’s Send These Dogs Homeward Bound. Are you looking to add another dog or cat to your household? The Rally to Rescue adoption event in Pinellas Park will be your best bet on Saturday, January 22. More than 20 breed specific rescue groups will be on hand with their adoptables. There will be demonstrations and pet vendors. Learn more about rescue groups, what these volunteers do and how to become a volunteer foster pet parent yourself. Rally to Rescue will be from 10a until 2p at Pet Supplies Plus, 7331 Park Boulevard North in Pinellas Park. If it’s dog-friendly and in Florida, THE NEW BARKER has you covered…from Central Florida to Tampa Bay and North Florida to SOFLA. Have fun this weekend and remember to dog responsibly. Previous Previous post: Dogs and People Living Together. Next Next post: Rescue Ink, the Army to the Animals Speaks One-on-One with THE NEW BARKER.